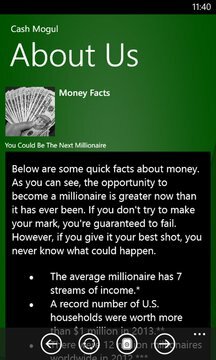 Cash Mogul is a Windows Store app that provides a collection of videos for each of seven different avenues for generating cash using your computer. It has been said that the average millionaire has seven streams of income. Giving each of these seven ideas a shot could have you well on your way to millions. 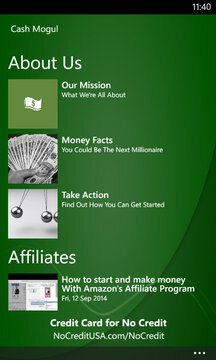 Download Cash Mogul today and put your computer to work at building wealth for you.